Up Lighting can paint any room with light! Looking to add some color? We can help! A Boutique influenced DJ services. You want a Packed dance floors loaded with guests of all ages, and smiles from wall to wall, that's what it's all about for us. Making our events unique and fun! If you're looking to have an event that people can not forget, one that leaves people chanting "One more song" and "Best night ever" Call Us. From Intimate local weddings to nightlife inspired ragers, our team of full-time entertainment professionals utilizes a modern boutique-style approach that will keep you in the spotlight without using “cheesy” outdated DJ techniques. 25 years' experience in the industry, insured, dependable and friendly. Dave DJ'd for our wedding. He was absolutely amazing. He did a great job keeping to the schedule and giving me the freedom to not have to think about if we were on schedule. He was incredibly organized in advance, and had a great personality. My husband's family is from Panama and Puerto Rico,and Dave was able to play every Latino song that was requested. We had an amazing time! We got the photo booth as well, it was a huge hit! Dave sent the photos to us after the wedding, and it was to be able to see that all my guests had a wonderful time! Holly, Thanks so much for the kind words!! I had such a great time with all of you! The Ceremony and Reception went off perfectly! And it is great to hear everyone enjoyed my Latin and Bachata mixes. I wish you both all the best in life! It was so nice to be able to worry about other aspects of the prom without one of them being the DJ/Photo Booth. He came in and dealt with everything. He was awesome! Dave was the best DJ I've worked with and I would highly recommend him to anybody who wants a professional DJ. He went above and beyond to make sure our clients had a great time at their corporate event. Not only was Dave the DJ for our clients dinner event in the Grand Ballroom at the Hyatt Regency at the Arch, he also DJ'd our clients after party on the roof of the Hyatt after the dinner. So, we didn't have to get another two DJ's for the night. Our clients loved the Photo Booth he brought with all the props...this was a huge success and kept our clients entertained all night. I can't recommend Dave enough in the St. Louis area. He was dependable, he hustled, and he paid amazing attention to detail to make sure our clients event a true success. Dave’s process was surprisingly easy and the result was perfect. This wasn’t a cliche, tacky DJ you would think of for a wedding, but rather a very professional, modern, and organized presentation. Dave kept our night on track and everything was great! I’d HIGHLY recommend 314DJ and I’m glad I picked the right one. 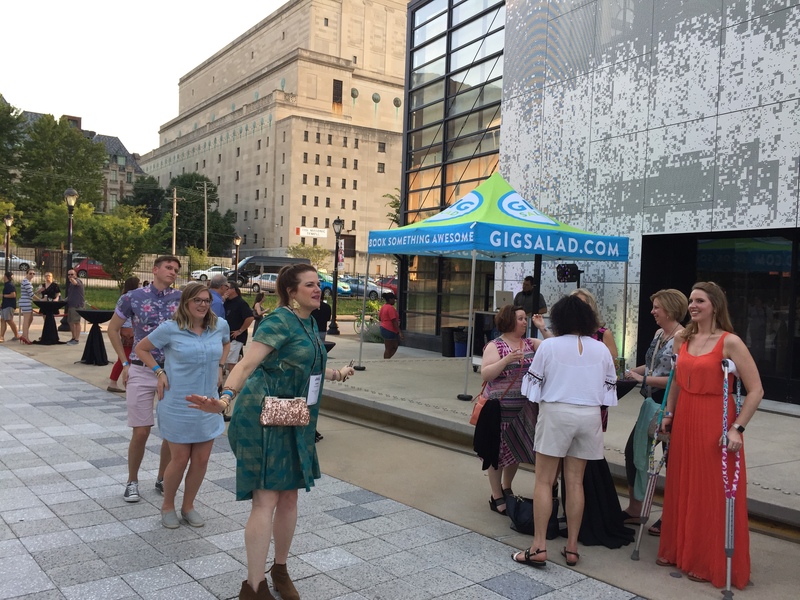 GigSalad sponsored an corporate event in St. Louis. Communication through the site was prompt and clear. He was even asking questions I didn't know to ask. He arrived early; set-up was quick and easy. He was professional with the guests and all the other vendors. The guests were adults ranging from 20- 60-year-olds, and he got a crowd dancing. I would highly recommend 314DJ & Photo Booth. Thanks so much! So glad everyone had a great time! Hope to work with you again on future events! Very organized and professional. Everyone was so impressed with how he kept everything running smoothly during the wedding and reception. Even the owner of the venue asked for his card. I will highly recommend him to everyone. Thanks SO much! I had a blast out at The Lodge at Loma Linda with all of you! The weather was perfect for an outdoor Ceremony and the Reception too! So happy to hear you were pleased! Such a great rustic venue! I hope to be out at the Lodge again soon! Thanks for letting me share the memories! We are so happy we picked 314DJ! Well worth every penny we spent and so much more! We now have a great DJ for all our future events! This is the first dance we had where everyone stayed to the end chanting ONE MORE SONG! ONE MORE SONG! This never happens! A packed dance floor all night? WOW, WOW, WOW! We already know our ticket sales will be up for the next event if everyone knows we will hire 314DJ! They have already asked us to put a deposit down! Don't fall for the low ball offers from discount DJ's, You get what you pay for! And with DJ Dave and 314DJ that is a GREAT TIME! Hi Kal, So happy to hear everyone had a good time. As you can tell I put in 100% to each and every event. And YES we will see you at the next one! Looking forward to another impromptu dance competition and many more packed dances. Best Reception Ever! Thanks to our DJ! We had used 314DJ for Photo Booth and DJ service. The set up was clean and they were very friendly. Very professional and helpful along the process of getting everything done on time. Many quest commented on how pleased they were with our choice of entertainment. The open style photo booth is by far the best way to go. Highly recommended! I can not say enough nice things about Dave and his crew! Thanks! Thanks, Janne! Had a great time! I wish you all the best! Dave was not only a terrific DJ but he kept my whole my wedding day run easy from music, coordinating attendants, kid wrangling, and therapist. Every time there was a little bump in the room there was my DJ! Dave played a wonderful assortment of music and I had so many compliments! We also added up lighting and a photo booth. Wow! Our venue was actually just a machine shed but after the uplighting and music it looked totally amazing (again my guests with the compliments)! The photo booth was a blast! All ages enjoyed! From grandparents to kids, and the attendant was beyond patient and very fun. Overall, I can honestly say our DJ was one of the best parts of our day. I'm so happy we chose him, from our first communication til our final farewell last night he was absolutely a treasure to work with. We were blessed to find him. The Venue was perfect! The Weather was perfect! So happy for you both! Thanks Schuyler! What a great DJ Service! We had used 314DJ for our wedding DJ for both out Ceremony and Reception. They were perfect! We used the up lights around the barn to give off a soft rustic glow it was breath taking! We added on the Photo Booth day of as a surprise gift from my bridal party it was such a big hit! So many fun memories were captured and shared. Thanks 314DJ for making my big day even better! Hi Lily, Thanks for sharing such a beautiful day with us. I wish you both the very best in all you do. Price Range: Depends on gig requirements. With over 25 years' experience in the Sound and Light industry, we provide insured, dependable and friendly service for all occasions and events. We only use professional quality equipment at our events such as: SHURE Wireless Microphones, Behringer X-Air Digital Mixers, Bose Professional L1 and F1 Speakers, EV EKX Speakers and Subs, and all power is filtered by Furman Power Filters for clean sound. We work on any event, large or small, from Kansas City and St. Louis to Chicago and beyond. 314DJ is a boutique company that focuses on quality over quantity. We put our experienced efforts into every detail of the performance, from our personal interactions with your guests and vendors, the quality of the sound system and the happiness of our clients. We create customized playlists for every event and enjoy taking requests. You are not average and we are not your average DJ company! If you hire the DJ service the minimum area required is 7ft wide by 5ft deep and one grounded electrical outlet. Should you add additional services more space and power could be required. The Photo booth requires a minimum of a 5ft wide by 5ft deep area and one power outlet. Additional layout option are available including a roaming photo booth that is not in one area but works the room. We offer special client online tools to help create a set list that is unique and special to each event. Special private online guest request areas are available for free to our events. 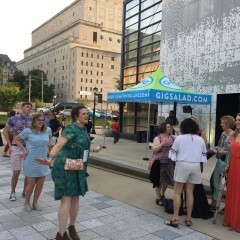 Some events qualify for LIVE day of TEXT in request or LIVE online instant music request. I have been influenced by so many great artists over the years. I do not have one genre of music, I appreciate music as a whole and this helps allow me to play for any group or event. I have been doing this for nearly 30 years and I take a lot of pride in what I do. When you hire me, you get ME, my heart, my everything. I guarantee safe clean music and take requests. Being a professional, I know how to work with people of all ages ...which I believe helps so much in keeping the dance floor active. Anyone can show up and play music - but you have to KNOW your music and how to work your crowd - and that's what I do for a living. The Purchaser will submit the Online Event Planner, Worksheets, Timeline, Music and/or Music Request a minimum of 30 days prior to the event or immediately if contract is made with short notice.